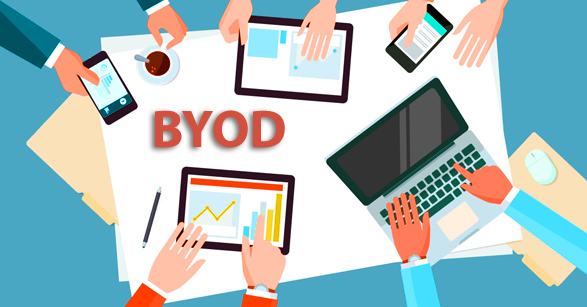 We can see a significant rise in organizations implementing BYOD policies to enable enterprise app use on employees’ personal devices. 59% of companies allow their employees to access business apps on their devices, research suggests. As a result, enterprise mobile app development has gained momentum for companies to facilitate this digital shift in workplaces. You may also like to read – BYOD – Will It Boost Productivity and Employee Morale? As employees demand a faster and more accessible way to complete their work, businesses have started to consider their convenience before creating their enterprise mobility strategy. Enterprise apps allow people to work from anywhere on their devices. Studies have shown that a majority of employees feel more productive when they work on their devices and that many of them demand this flexibility today. While employees enjoy agility in working and welcome enterprise apps, businesses find it challenging to develop these apps given the security of data and information they seem to risk. Successful enterprise app development effectively balances convenience and security, so that BYOD is a win-win for both employees and the employer. Ensuring a proper and intended use of enterprise-grade apps starts with the tech stack. The underlying technologies must be enough to support the infrastructure and integration as well as provide a secure environment that detects and prevents data leakages, information theft, and other security anomalies. Since it seems like there’s an ocean of tools, most businesses struggle to pin down their tech stack. But, technologies shape the entire enterprise solution. So, there are aspects to consider before finalizing a tech stack. Configurations and customization – Enterprise mobile apps can be made customizable to allow employees to tweak them to their interest. These configurations need not be major ones- but tiny changes such as the reorganization of the menu, theme change, and so on. This way, employees stay motivated to use your app since they can tweak it to their liking. Security – A crucial aspect to think about is the security of your enterprise solution. When employees access sensitive information and data over their personal devices, you have little control over what they do with it. Therefore, robust security arrangements might be your priority. These may include authentication, encryption, and other enforcement. Updates– The frequency and width of updates may affect your choice of technologies. Ponder on the idea of updates and how often you may need them. When you update your apps, you want the process to be seamless and least disruptive to the user experience. These apps are built in native code intended to run on a specific platform and OS. Users download these apps from stores to reside on their devices. Since native apps work on a particular platform, they perform the best and are optimized for use on that platform. If security is your top priority, native apps might be a suitable solution as they guarantee data protection. Native apps are much more interactive and intuitive than their counterparts, adding to app usability. You can expect a bug-free experience with native apps, making them an excellent choice for businesses that cannot afford a buggy app. Native apps are ideal for cases where high-end user experiences are expected, a large user base with a prominent device choice is targeted, offline usage is common, and where apps need extensive device/OS functions. Technologies common and prevalent for Native app development are iPhone (Objective C), Android (Java), and Windows (.NET). Cross-platform apps are built using a cross-platform framework and then run on multiple platforms after specific configurations are made for each. These apps can be developed and deployed in a cost and time efficient manner as the code can be partly reused on multiple platforms. Implementation is easy for cross-platform apps as developers can make changes in no time using popular tools. 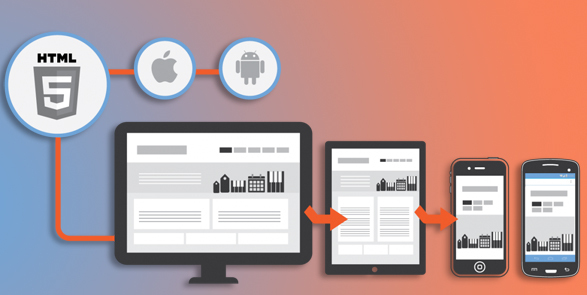 Cross-platform apps ensure that the overall look and feel of your business app remains uniform across platforms. A massive advantage is that you can allow all OS users in your organization to use your app since it is deployed on all major operating systems. These apps are accessible on mobile devices through a web browser and can be run over the internet. These apps stay up-to-date always, since you access their updated version each time over the internet, without any need to install them. Web apps are easier to maintain as they share code across platforms and can be configured to be made compatible with older mobile devices. Web apps are easy to release and deploy since they don’t need approval from any marketplace. If these factors sound convenient and preferable for your enterprise app, mobile web apps may be the right choice for you. These apps are ideal for cases where generic user experience is desirable, and app performance can depend on the strength of the internet connection, where you have a distributed user base that employs various mobile devices, and where apps only need moderate device functions. Is multi-platform compatibility important to you? What do your users expect in your app? Do you have industry-specific requirements? How much time/cost can you invest in your enterprise solution? What are the most crucial functionalities you need in the app? Many businesses begin the implementation of their enterprise app only to realize it is beyond them. They either lack the infrastructure, or the tools and technologies, or the workforce to complete the development. It is crucial for you to consider all of these resources, and if you fall short, fret not. Partner with a credible and reliable enterprise app development company such as CDN Solutions Group. We have worked with clients both offshore and onshore. With a laser-sharp focus on your requirements (both communicated and hidden), we work proactively so you can maximize your ROI from enterprise app development. Look at our portfolio and drop us a quick message so we can assist you with a tailored enterprise solution.